On Thursday 28 November 2013, MPs debated the G8 summit on dementia. The debate was chosen by the Backbench Business Committee following a representation from Tracey Crouch. The application for debate was also sponsored by Hazel Blears and Paul Burstow. This discussion, by parliamentarians, was in fact a very fair and balanced consideration of the practical issues facing the contemporary scene of dementia. A lot has hopefully moved on from the attitude that, “Dot has gone a bit dotty”. Diagnosis of the dementias is only part of the story. The subsequent ‘treatment’ and ‘cure’ for dementia have been actively debated, but this parliamentary debate acknowledged that we have come on ‘leaps and bounds’ for enabling individuals with dementia potentially to live positively with dementia. There’s clearly a complex parapluie of factors at play here. Does a current lack of cure for dementia lead to more stigma, or does stigma contribute to a current lack of cure for dementia? Beyond the Prime Minister’s Dementia Challenge, there will need to be a long-term dementia strategy to expire next year, it is argued. The UK is leading the discussion of dementia for the G8, but embarrassingly does not have a strategy yet for 2025 compared to some of its international colleagues. There has been an increase in investment in dementia research, but this has come from a very low base, representing less than 1% of the annual science budget. It is hoped that this budget will increase, including funding for prevention as well as quality-of-life and wellbeing. 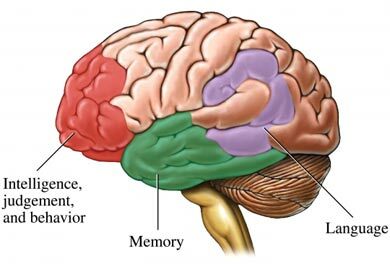 A great thing about this debate was its acknowledgement that not all dementia is Alzheimer’s disease; this is crucial for us to consider how best to allocate monies for research into other types of dementia too, such as the frontotemporal dementias. Another brilliant aspect was an appreciation that there needs to be support for carers, for avoidance of ‘crises’ – including support for the ‘Dementia Action Alliance’ – in the run-up to the #G8 dementia and beyond. You can watch this excellent debate here. Hazel Blears (@HazelBlearsMP) is the Labour MP for Salford. Her submission to the #G8 debate, as provided in Hansard, is as follows. Hazel is well known to be a ‘champion’ for dementia. Hazel Blears (Salford and Eccles) (Lab): It is a great pleasure to follow the hon. Member for Chatham and Aylesford (Tracey Crouch), my colleague on the all-party group. It is also a great pleasure to see you in the Chair, Madam Deputy Speaker. This is my first opportunity to contribute to a debate under your chairmanship, and I would like to congratulate you on your election. While I am handing out congratulations, I would like to congratulate the Prime Minister, too, on the personal commitment he has shown on dementia. [Interruption.] Credit where it is due. Those who have the presidency of the G8 have an opportunity to name a subject around which they would like to mobilise the international community. In playing his card at the G8, the Prime Minister has chosen dementia. I commend him for taking that action. I believe that international collaboration will be the way to achieve the next big leap forward, particularly on the research agenda. I support what the Prime Minister said at Prime Minister’s questions yesterday—that this issue is not a matter only for world leaders, important though they are; it is a matter for every single person in the community, whether they be a world leader, a health Minister or an ordinary citizen. Everybody has a role to play. I shall start with the people who have dementia, along with their families and their carers. When we promote policy, do collaboration or talk about international research, we must constantly remind ourselves that the people with the disease and their carers and families are usually the most expert people in the system. Therefore, the services that we provide, the quality of care and the innovations we develop have to be shaped and guided by those people. We must empower them to make their voices heard in this debate. When we bring together our creativity, our imagination and the huge brain power in the research community, we must always bring to this issue, too, our own humanity. We must remember that people with dementia are valuable and loved human beings. If we can keep that at the forefront of our minds, we will make progress and be doing absolutely the right thing. During Question Time yesterday I mentioned a lady called Joy Watson. I met her a little while ago. She is only 55, but she has early-onset dementia. Her family was devastated. When she went into shops, she might be a little confused over her change or what she needed to order, and the shops—and sometimes the customers—would be irritated with her, tutting and asking her to hurry up. She took to wearing a badge, which she designed herself, saying “I have got Alzheimer’s; please be patient with me”. She should not need to do that. Nowadays there is a scheme—I think it is called the purple angel scheme, and Joy is promoting it—so that people can wear a purple angel on their T-shirts as a means of raising awareness in every single part of our community. In Salford, we have worked on this agenda for a number of years. We have just formed our dementia action alliance, with 30 organisations now committed to action plans to make us, I hope, the first dementia-friendly community in Greater Manchester. As well as health, education and housing bodies, we have the Lowry arts centre and our shopping centres included in the scheme. I think we have the first private-hire taxi firm in the country to be involved in this, Mainline Sevens taxis. It has trained 400 drivers and has an account system so that people with dementia do not have to fiddle with their money when they get in a taxi. All those groups are now dementia aware. That shows the really practical things that can be done.On the research side, I am delighted to say that tomorrow, Salford university will launch the Salford Institute for Dementia, bringing together the faculty of health and social care with departments dealing with the built environment, computers, IT, arts and media—showing the multidisciplinary approach that will apply. That group will draw together and disseminate research on living well with dementia. I think this is a fabulous academic development. Hazel Blears therefore congratulated the Prime Minister for choosing dementia as a topic he wished to talk about. It is noteworthy that patients themselves and their carers are the most expert in these complex conditions, and their voices must be heard. Few will disagree with this.